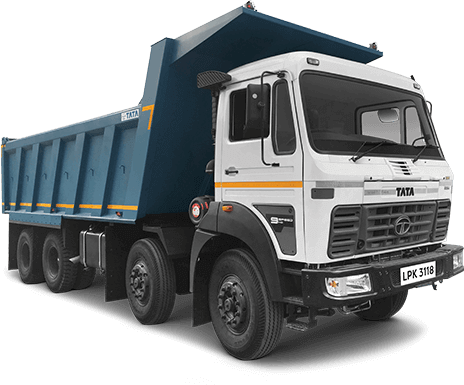 The Tata LPK 3118 9S is a multi-axle tipper, powered by a Cummins ISBe 5.9 180 40. The maximum engine capacity is 5883 cc and it is capable of producing a power of 134 Kw at 2500 RPM and torque of 700 Nm at 1500 RPM. The engine is BS IV emission compliant. The maximum fuel capacity stands at 300 litre, making it easier to drive long distances without having to take too many halts. The GVW of the vehicle stands at 31,000 kg. An efficient power steering, a high gradeability of 33%, and a wheelbase of 5,580 mm make it a great drive. The LPK 3118 is best suited for industries that require frequent transportation of goods like coal, gravel & stone.